Rapidly becoming a popular choice for group travel in the UK and Europe, minibus hire is an affordable and convenient option for a variety of events including airport transfers, school trips, wedding transport, camping trips, hen and stag parties and more. Maybe you and some close friends have decided to take a mini break to the Lake District, or perhaps your sports club is headed down south for a match against an opposing team. Whether you want a chauffeur or have someone qualified to drive in your group of friends, hiring out a minibus could be an option well worth considering when it comes to organised and convenient transport. 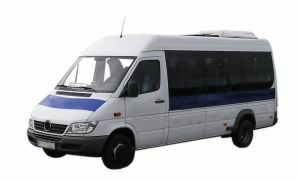 The cost of hiring a minibus is substantially cheaper than coach hire, and if you are traveling with a group of friends, dividing the total price between yourselves will decrease the individual cost and will likely work out cheaper than booking a hire car. One of the most recognised advantages of hiring a minibus is the convenience and freedom it gives you. Instead of walking around for miles with a high chance of getting lost or waiting around for buses and trains to get to your next location, you could follow your itinerary from the comfort of your chauffeur-driven minibus, making sure that you don’t miss out on any of your planned activities. And with most minibuses able to cater for 8-16 people (sometimes even more), you can share the experience with your team members or friends without it feeling too crowded. Not only is a minibus there for your convenience, but the experience is customisable depending on how much money you want to spend. To make your experience as enjoyable as possible, you could choose to splash out and hire a chauffeur driven mini bus with extra leg room, plasma screens, iPod docks, leather interiors and blacked out windows. On the other hand, if you would prefer to save some cash for your trip, you can decide to opt out of these additional extras and purchase a standard minibus hire. Think Insurance offer a range of minibus insurance policies, including the likes of charity minibus insurance, school minibus insurance, sports club minibus insurance, and much more. To ensure that you are protected should something go wrong, Think Insurance additionally provide breakdown cover, and if your trip involves going abroad, EU cover is also available among many other features and benefits. What to look out for when buying and selling cars. What’s the Difference Between a Car Insurance Policy and a Motor Trade Insurance Policy? This entry was posted in Minibus Insurance on April 24, 2014 by admin.